Cloud is omnipresent as corporate houses in all industry verticals adopt cloud-based services to enhance work productivity and expedite business growth by imparting work flexibility to employees. This BYOD era has changed the working styles of people, as they are free to use their personal devices and thus use organizational data over any and many cloud apps without informing the IT admin; thus, leading to Shadow IT issues. 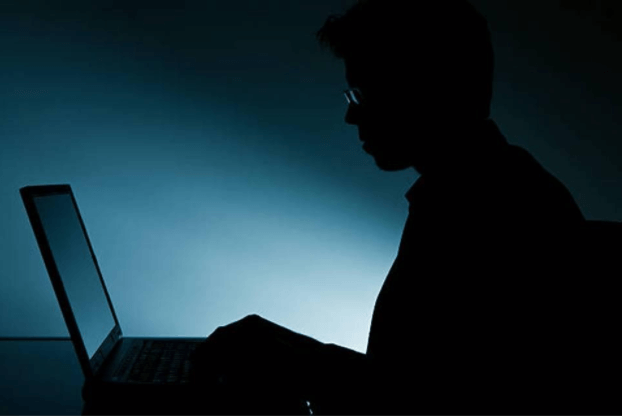 Cloud security issues thus arise and whole enterprise security comes at stake in the dark shadow of Shadow IT. Cloud Access Security Brokers providing Shadow IT solution have made the discovery and thus implemented these CASB solutions in enterprises for securer use of cloud apps. Enterprise use several to many cloud applications and services, from which some may not be enterprise ready. A way around is to block all these services, but it is not a practical approach considering the productivity improvements cloud computing provides. So, it is mandatory to strike the perfect balance; use cloud apps but through vigilance. Now, from where does this vigilance can be brought in? Well! It can certainly be brought in through the use of CASB solutions for enterprises to avail the advantages of cloud services still not letting them impact enterprise security negatively. CloudCodes CASB solution helps in addressing these issues of Shadow IT in the Enterprises by imposing policies and restrictions. Shadow IT solution of CloudCodes is basically an agent solutions or an agentless solution that helps to access/report any potential risks/threats through blocking/monitoring/reporting any attempts of using unsanctioned apps within enterprises. A balance is thus established between users’ needs and requirements of enterprises for cloud security; by completely checking on any potential IT threats including data leakages, running of sanctioned apps in cloud-based working environment, blocking the download and upload of any unsanctioned apps. Through whitelisting/blacklisting required URLs, complete cloud security can be ensured in real-time. Web filter policies are imposed to restrict enterprise users from uploading any confidential office documents to any unauthorized sites without obtaining prior authorizations for the same. This web filter policy can only be enforced for users for which device restriction policy is already enabled. From the Admin panel, admin can create the Web Filter policy for both Sanctioned as well as Unsanctioned Apps by giving it an appropriate title, Description of policy, Validity, etc., by selecting appropriate check boxes and inserting data fields with appropriate data. For making the policy to be always valid, the respected checkbox can be checked, else the date range, from which the policy would be valid from and valid to, can be entered. Web filter thus establishes complete enterprise data control wherein the enterprise users are restricted from downloading or replicating the same confidential information from an unspecified location, which is not known to the admin; thereby, ensuring complete cloud security for organizations previously affect issues of Shadow IT in the Enterprises. Even the sanctioned apps can be guarded safely with the web filter policy, and thus, users will not be able to upload any confidential office documents while using even these sanctioned apps. Till the time device restriction policy is not enforced, users can access even the unsanctioned apps, but with the Web Filter policy, enterprise users cannot upload any official documents to any of the unsanctioned apps. This would benefit organizations greatly who are compromising their cloud security under the dark shadow of Shadow IT. If admin wants to block certain URLs from being accessed within the office network, then, those URLs can be blacklisted. As soon as any user clicks on any blocked URL and attempts to access it, it will be reported as a violation of the Web Filter policy to the admin through an alert via system-generated email or SMS. Admin can also define the frequency of alerts as “immediately” or “weekly” or “monthly.” This Web Filter policy can be applied to ALL OUs (Organizational units), group of OUs, and even a single OU. A CSV file format is supported by the application to import the list of active users with email IDs for which the Web Filter policy is to be enabled, and thus, the Enterprise Admin will have absolute control over both sanctioned and unsanctioned apps in use organization-wide, and configure and impose these policy restrictions quite easily; thus seeping in amplified cloud security into organizational working modules by averting the ill-effects of shadow IT in the Enterprises.